Here's a simple and delicious way to boost your fibre intake – start your day with our smooth, creamy soya based alternative to yogurt, blended with oats. It’s absolutely delicious with some fresh fruits, nuts or simply on its own. So go on, give it a go! May contain traces of nuts (no peanuts). Contains soya. Contains Oat. Free from dairy. Fibre is an essential part of our daily diet but did you know that most of us don't reach the recommended daily amount of 30g? By starting the day with a fibre-packed breakfast, it's easy to close this 'fibre gap' and get a great start to the day. Can you create a high fibre breakfast? What a great fibre-packed breakfast. You're ready to start your day! 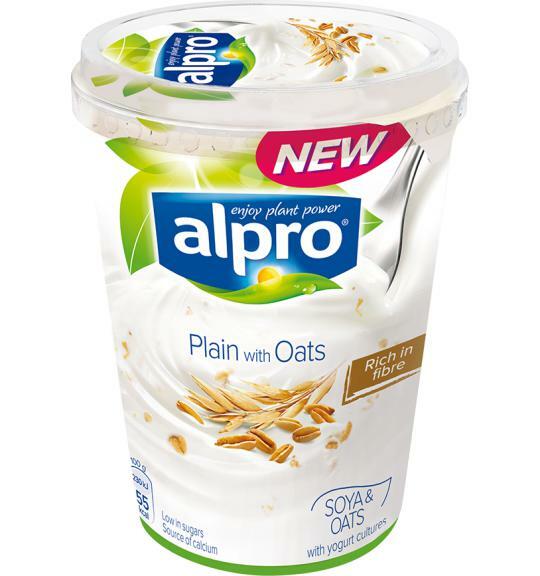 Just add fruit, nuts or Alpro Oat drink to increase your fibre intake! Try these delicious recipes inspired by Alpro big pots.